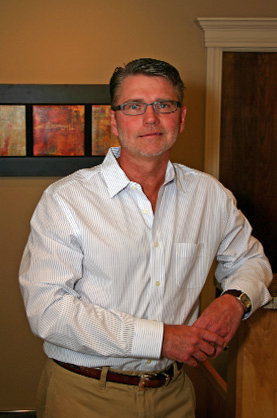 A Ravenna, Nebraska, native, Dr. Ryan Jensen has been practicing primary care optometry since 1986. It has been his personal goal to provide patients with the best eye care possible and spend as much time as necessary with each and every patient. 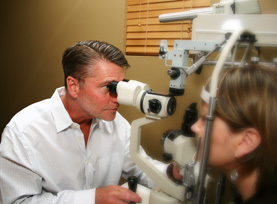 After graduating with a bachelor of science degree from the University of Nebraska-Lincoln in 1981, Dr. Jensen studied at the University of Houston in Texas where he received his doctor of optometry degree in 1985. He worked in a clinical setting at M. D. Anderson Cancer and Tumor Institute of Houston, Texas, and at the Glaucoma Service and Research Laboratory at Baylor College of Medicine. At Baylor, he provided advanced diagnostic procedures, clinical refraction, primary care optometry, and aided in research in their highly specialized glaucoma laboratory. Dr. Jensen's time spent working in these tertiary care facilities has provided him with a broad range of clinical ability and experience. Dr. Jensen has practiced optometry in Lincoln for over 20 years. In addition to his work, Dr. Jensen enjoys playing the drums in his spare time. He also enjoys biking, exercising, and writing creative poetry.